Sometimes, by a combination of planning, circumstance, hard work, and good old luck, something fantastic happens. 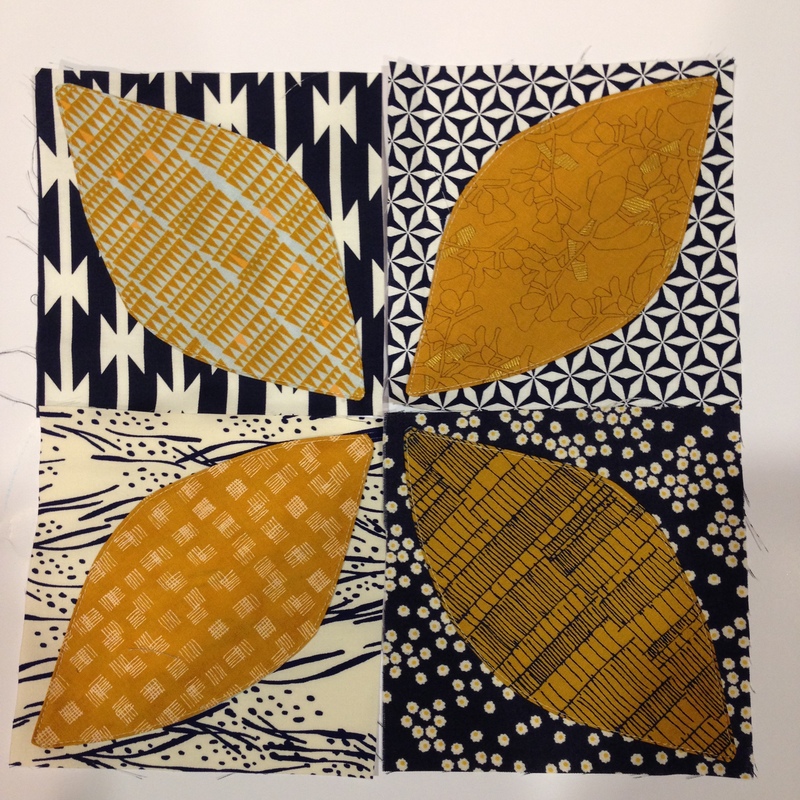 I got to experience that this past weekend in Lancaster, PA at Mid-Atlantic Mod, a modern quilting retreat sponsored by the MQGs of Central Jersey, Philly, Baltimore, DC, and North Jersey. It was so well-planned and executed, and it was exactly what I needed and wanted on this specific weekend. The way the weekend is set up, it is super casual open sew at all hours of the day. You come and go when you want, eat when and what you want, and add whatever programming or activities you want. I elected to participate in the Secret Sewist Swap (more on that in a minute), but passed on the shop hop, mini quilt swap and the progressive quilts. I taught and took a class, sold patterns at the artisan marketplace, and took advantage of the massage therapists’ services. I felt simultaneously relaxed and productive. I worked and I laughed, often at the same time. I may have had some tequila and worn a mustache. And oh, the people. 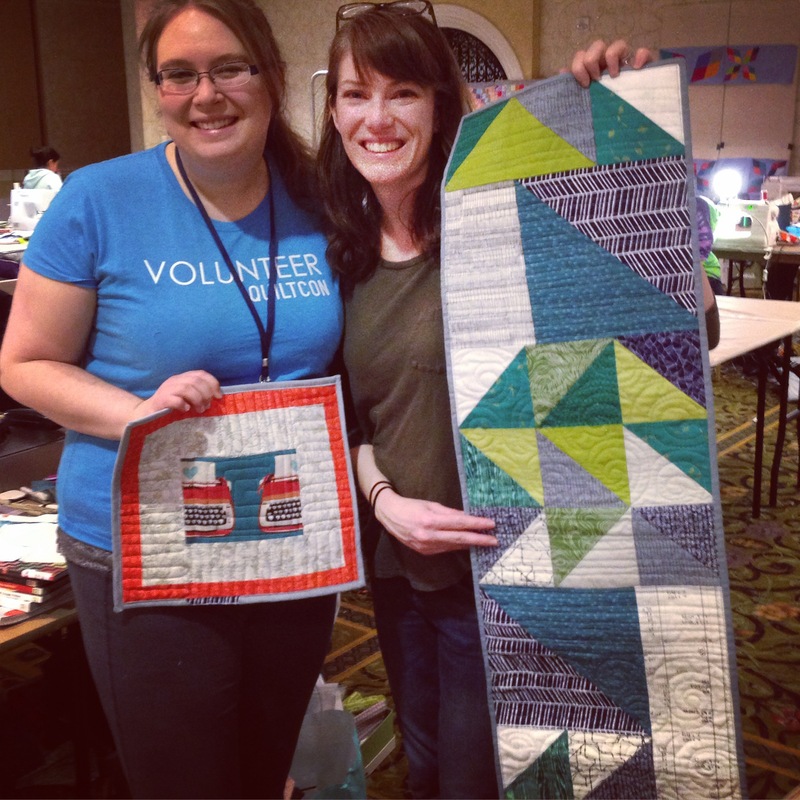 I got to sew with some people I’d met at Quiltcon, and I met some wonderful new people. There was so little ego and so much humor, kindness, and thoughtfulness in that room that I’m still smiling. Maybe it was because I had just finished the Green Peek quilt, but I was ready to show it off and I was ready to take on new projects. On Friday, I dug into a stack of solids to try out an idea I’d had for a design that features squares with rounded corners. I finished the top in a day. On Saturday, I took Jess’s Orange Peels and Improv class and did some very satisfying and fun applique. On Sunday, I experimented with a new pull inspired by my ballet bag, all black and white, beige and peachy pink. I was happy with the results. And the frosting on the cake was that every morning I awoke to another gift from my Secret Sewist. It ended up being Jess (! ), and she was just so incredibly thoughtful and generous. Check my Instagram feed (@melintheattic) for the full spoils, but she made an hour basket, a mini quilt/mug rug, and a table runner for me using some very very special fabrics (fabric geeks will notice that she used a treasured piece of typewriter fabric). There is also a Muppet mug. A MUPPET MUG. So cool. I wish that I had pictures of the things that I gave to my partner, Sonia! I was so busy preparing for the weekend and sewing that I didn’t take proper pictures. Check her Instagram feed for her lovely ones (@soniabegoniasonia) But I made a drawstring bag that I filled with scraps from Anna Maria Horner, a mug rug, and a 241 tote in her favorite colors. It was so fun, and since we sat and sewed right across from one another all weekend, I had to be a good actress! I could keep gushing, and I’m sure I’ve forgotten some blog-worthy moments, but I’m busy working on a little something for market for the next couple of weeks. Plus, the Peek pattern is super close to going live! There is so much quilty goodness this time of year that I finally feel like I have broken out of winter’s slump. Thanks, Mod, for kick starting that effort. I think your Retreat sound absolutely terrific. So great to be with positive people. Love the gifts you received. That girl has good taste in fabric. 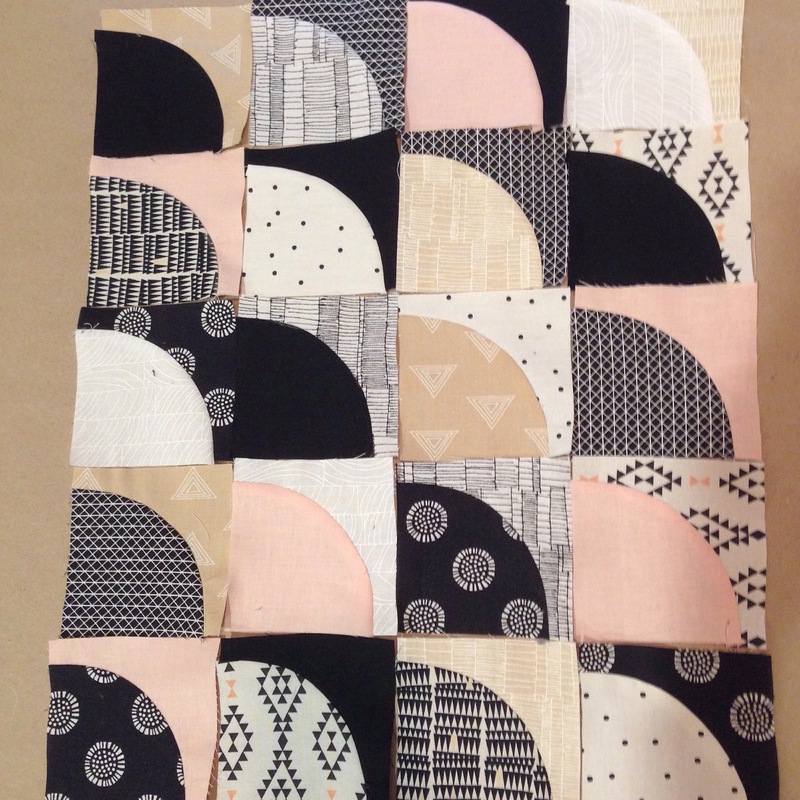 Love the shift to modern quilting. Grab every book on it I can. So happy for you! 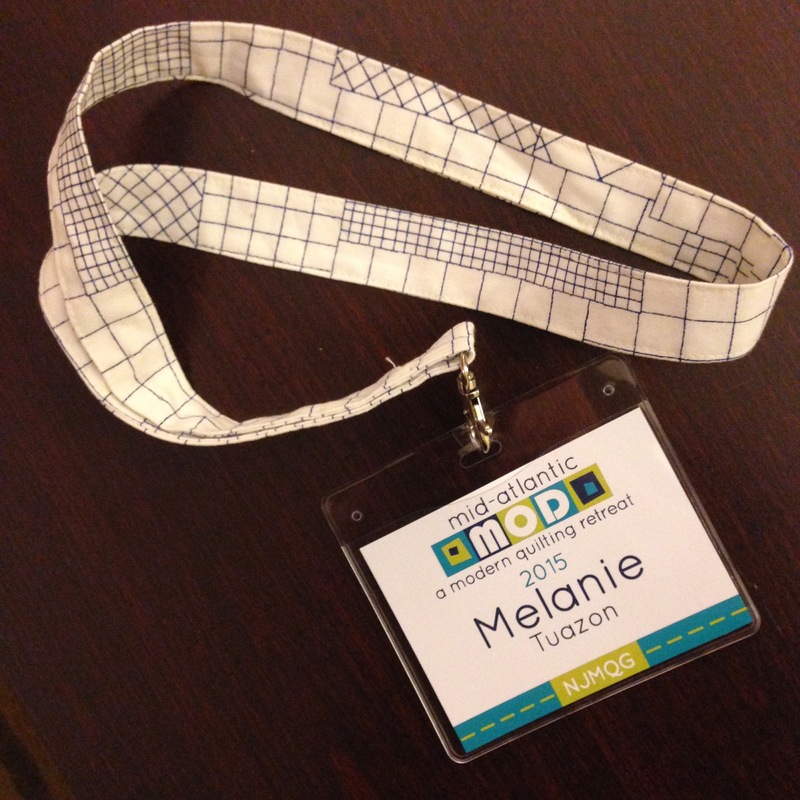 This post just made me so happy … even if I had to miss Mod! I had so much fun getting to know you and your NJMQG pal, Daniela. What a way to spend a weekend! I can’t believe a week has passed since I piled all my stuff into the car to head out. Can’t wait to see what you do with those quarter circles! This weekend looked awesome through the photos I saw on IG and blog posts, and your write makes it sound even better. I mean–a massage therapist?! 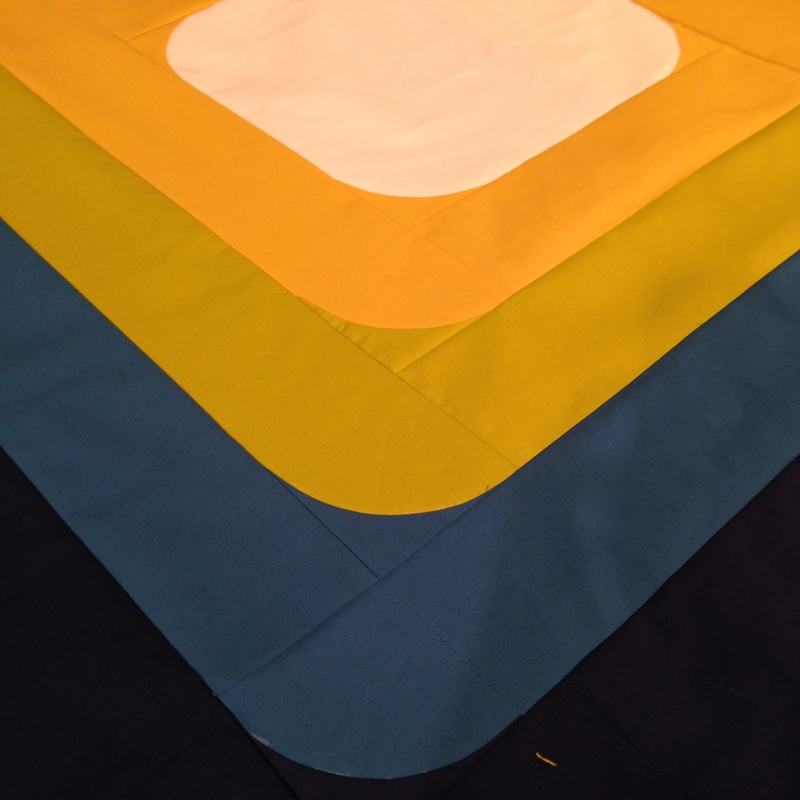 #1 thing QuiltCon was lacking, right? So glad we got to hang out. ❤ I was seriously stoked to be your partner! When we were talking about all our secret makes I had to try SO HARD not to tell you! And I searched long and hard for the perfect Muppet mug 😉 Glad you love!